When looking for 100% natural amber- rough, polished pieces, or jewelry- we recommend that you inspect it to be sure it is authentic to avoid buying fake or treated amber. 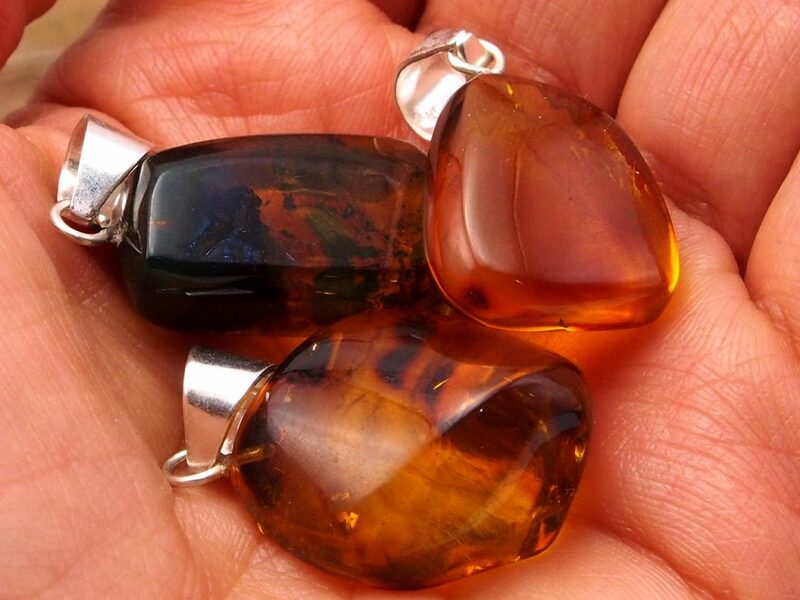 There is plenty of fake amber out on the market, as well as amber that has been cut with plastic or other resins. 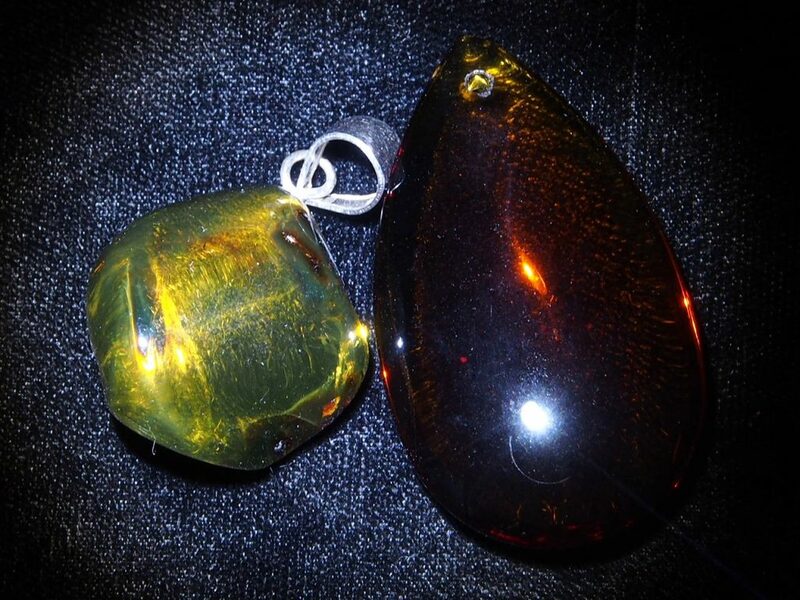 To determine whether you have real amber vs. fake you can perform the following tests. Real amber will float in salt water. This is a great test for amber pieces and chunks that do not have metal components to them. Rings, pendants, and other jewelry items mounted with silver will obviously sink. 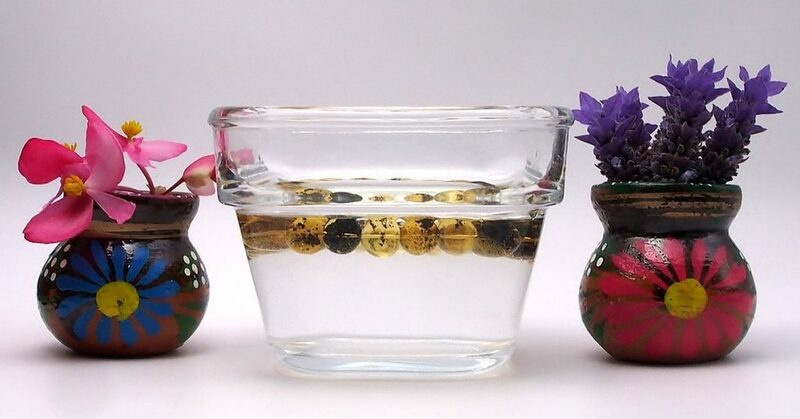 Simply make a saline solution that has plenty of salt in it and drop the amber in. If it floats, it’s amber, if it doesn’t, it’s not pure amber. Copal can be tricky with this test, therefore doing the UV light test will be best. Real amber will fluoresce under UV light. The amount of fluorescence varies from piece to piece. 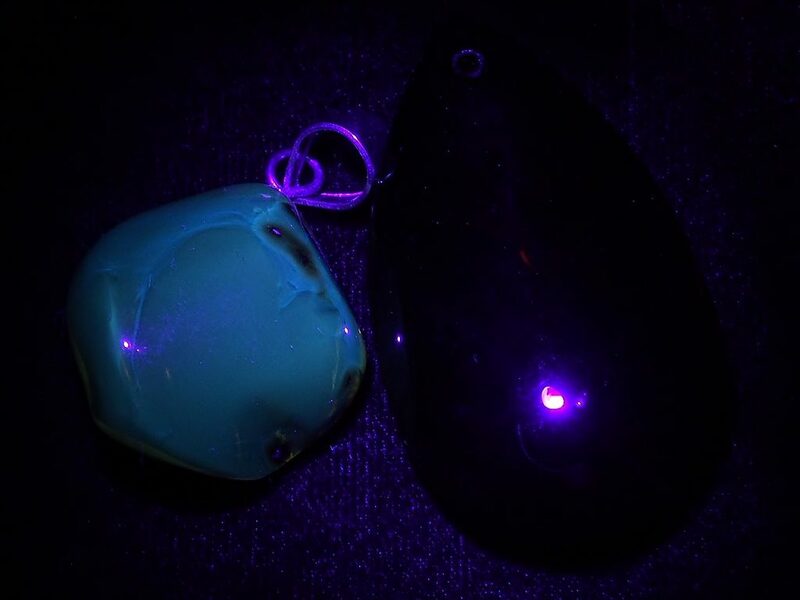 In a dark space, shine a UV black light on the samples in question, and if it is authentic amber it will fluoresce a bright blue or yellow green. Sometimes amber is melted down and cut with plastic or other types of resin and a very soft fluorescence still comes through from the content of real amber. Copal is an amber-like resin, but not amber. Copal is much younger than amber and it will not fluoresce under the UV light. *Please be mindful with UV light to protect your eyes from damage by using UV sensitive eyeglasses. Amber is a conduit of electrical energy and when charged it magnetically picks up small pieces of paper, lint, hair etc. For example, rub amber vigorously on wool or cotton (wool is preferred) and then use it to pick up tiny pieces of paper. The electrically charged amber will pick up the paper and stick to it, but if it doesn’t, than it is not pure amber. Light use of acetone or alcohol on amber will evaporate right away and not make an impact on the amber. If you use this test on adulterated amber it could make the effected area sticky or tacky, therefore find a spot that the potential damage will not be noticed. Amber is a hardened resin that has been fossilized. Natural resins will melt and burn giving off a sweet, resiny scent much like pine. This is why powdered amber makes a wonderful incense. A hot pin tip will penetrate the amber and give off that sweet scent. We only recommend this on raw chunks or pieces for making jewelry or for jewelry supply. Amber is lightweight and tends to be at room temperature, therefore it will adjust to body temperature quickly. When tapped together it will make a gentle clicking sound vs. glass which will make a higher pitched clicking sound, and plastic a dull one. 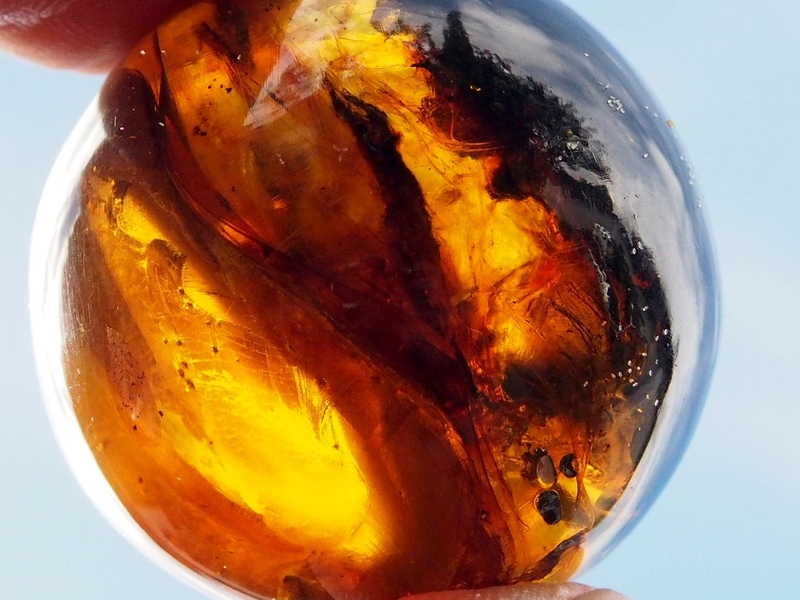 Those of us with lots of experience handling and working with amber can tell if it is 100% real just by holding it. If the results of these tests are unclear than you may have melted and reconstituted amber cut with plastic or other resins, as stated earlier in the article. online and at trade shows… guaranteed. We specialize in Mexican amber from the mines near Simojovel, Chiapas.